My favorite destination for low-key, classic silk shirts is offering an extra 20% off all sale items right now! These printed shorts are just what I need to finish out summer in. These shorts would also look great with a cozy gray sweater and boots for the more transitional months! How about a perfectly pink, pocketed dress? Another fall favorite is this python-print sweater. Love the contrasting mustard sleeves on this one, too. If you love a good plaid, this short-sleeved top is right up your alley. This army green Signature blouse would be a year-round go-to in my closet. Another piece you could pick up for the rest of the summer + next spring is this simple silk shift. Such a gorgeous piece! If you’re crazy about mixed prints, try this florals + stripes blouse. Left your heart in Paris? This shirt is a keeper. Just enter promo code EXTRA20OFF at checkout! 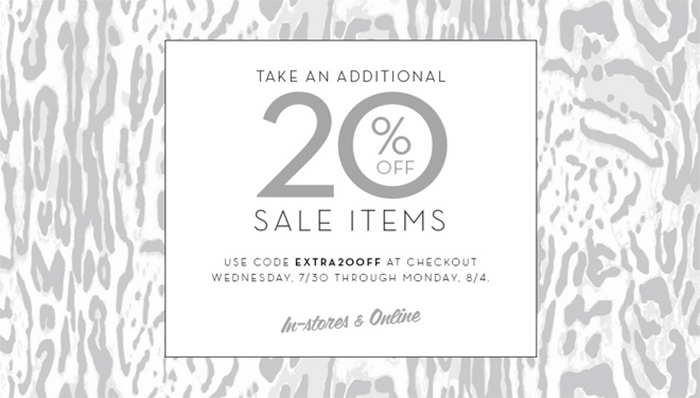 Joie is also offering an extra 20% off their sale items too! I could have really used this baja poncho top on my Cali trip – isn’t it so festive and adorable? At the beginning of the season, I fell head over heels in love with this pale blue linen blazer + shorts set (also comes in a skirt too). Speaking of skirts, remember this pleated number from the presentation last September? If you do, you may also recall this cheeky Oui Oui tee that I took a pic of. Gotta have it! Also love this peasant top with tassels. Click here to shop the sale and be sure to enter code EXTRA20OFF to save! Equipment sale… how did I not know about this?!! Literally heading over there now! Oh my gosh, a Joie sale! Dying for a pair of Mariner pants!